ONE-ON-ONE TRAINING (5 SESSIONS) is ideal for people who are dedicated to working with their dog(s) between sessions. This training program gives you all of the tools you need to reinforce good behavior at home, and transform your relationship with your dog. Upon completion of the program, you’ll have an obedient companion, and the know-how to continue the good behavior for years to come. Length of Program – 5 weeks. Includes five private, in-facility sessions. 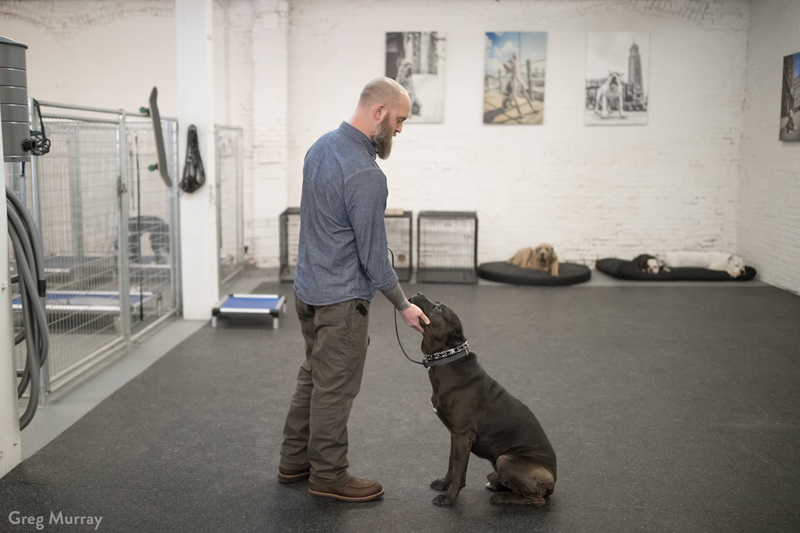 Where – Evolution Canine’s Training & Boarding Facility. Tools (included) – Leash, Herm Sprenger Prong Collar, E-Collar Mini Educator*, and Long Line. This TWO-WEEK TRAINING PROGRAM immerses your dog into a 24/7 training routine including structure, socialization, and supervised play. It’s great for hyperactive dogs, and dogs with basic behavior problems. If your dog has an aggressive temperament or complicated behavior issues, please see the 3-4 Week Program. 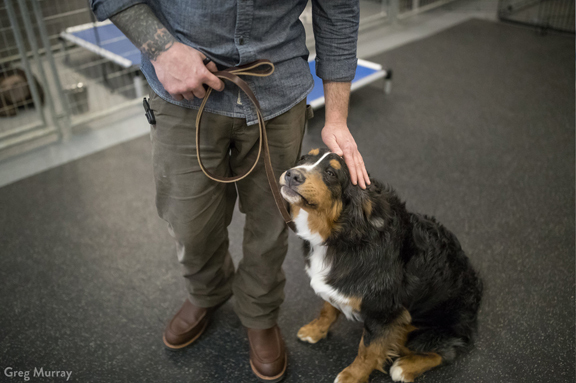 Upon completion of the program, you’ll leave with an obedient companion, and the know-how to continue the good behavior at home. Length of Program – 2 weeks. Includes two private, in-facility sessions, one 60-minute mid-way session, and one 90-minute go-home session with you and your dog. The program also includes a 60-minute follow up session. Length of Program – 1 week. Includes a 90-minute go-home session with you and your dog, plus one 60-minute follow up session. Tools (included) – Leash, Herm Sprenger Prong Collar, and E-Collar Mini Educator*. Minor behavioral issues will be addressed. A dog with complicated behavior problems or aggression issues can cause unwanted stress on you (and your dog). In our 3-4 week training program, we’ll address issues like aggression, separation anxiety, on-leash reactivity, resource guarding, and severe fear. Once the program is complete, you’ll appreciate having less stress, and a plan to reinforce positive behavior at home moving forward. Length of Program – 3-4 weeks. Includes two private, in-facility sessions, one mid-way session, and one 90-minute go-home session with you and your dog. The program also includes one 60-minute follow up session. *Equipment Upgrades: Please note, some dogs may respond better to The Boss E-Collar. There will be an additional charge should you choose to upgrade. We will address and modify unwanted behaviors including jumping, barking, leash pulling, aggression, digging, running away, and other areas of concern. “Just finished my training with my dog Dakota at Evolution Canine. Scott is extremely capable, informative and professional in his abilities to train both the dog and the owner. The changes he makes to how you handle your dog and how the dog responds are instantaneous…I have seen such a dramatic change in Dakota. Our walks are more of a pleasure as she has graduated to off leash commands, listens and understands, as I too have learned the proper way of handling her…Thank you Scott…We will continue applying all that you have taught us.” –Gary F.
“My husband and I are lucky to have found a true professional when our dog needed his training the most. Our pit mix, Hazel, was known to react to other dogs and recently began reacting to people which left us frustrated and weary of bringing friends into the home. The two week board and train program was that best choice we’ve made since we’ve been struggling to overcome her reactive behaviors. Scott rebuilt our broken foundation and gave us the tools to succeed with Hazel. We are now able to enjoy walks with a calm and attentive dog always by our side—a far cry from the leash pulling behavior she was used to…Bringing friends over, meeting people and dogs out on walks are no longer stressful situations…I know we are set up for lifelong success with our dog…Thank you Scott; Hazel is going to miss the first doggie friends she ever made at Evolution Canine.” –Jamie B.